Oxygen uptake measurements are without question useful and a staple measurement for the estimation of exercise energy costs. However, steady state models cannot be used to successfully model intermittent resistance exercise energy costs. Our laboratory has taken steps to avoid such comparisons between these discrepant exercises. We have separated out exercise and recovery periods during resistance training and utilize capacity (kJ) estimates as opposed to rate measures (kJ min-1). Moreover, we avoid anaerobic threshold concepts as applied to resistance exercise. When viewed accordingly, resistance exercise energy costs are opposite those of the steady state model: exercise oxygen uptake is highest for steady state exercise and lowest for resistance exercise, recovery oxygen uptake can be the highest energy cost for resistance exercise whereas for steady state exercise it may or may not be meaningful, and anaerobic energy costs represent a significant component of resistance exercise that plays little to no role with steady state exercise. 1. Atwater A.O., Benedict F.G. Experiments on the metabolism of matter and energy in the human body. US Dept of Agriculture. Bulletin 109. Government Printing Office, Washington 1902. 2. Benedict F.G., Carpenter T.M. The influence of muscular and mental work on metabolism and the efficiency of the human body as a machine. US Dept of Agriculture. Bulletin 208. Government Printing Office, Washington 1909. 3. Boutcher S.R. High-intensity intermittent exercise and fat loss. J Obesity. 2011; Article ID 868305. 4. Christensen E.H., Hedman R., Saltin B. Intermittent and continuous running. Acta Physiol Scand. 1960; 50, 269-286. 5. Edwards R.H.T., Eklund L-G, Harris R.C., Hesser C.M., Hultman E., Melche, A., Wigertz O. Cardiorespiratory and metabolic costs of continuous and intermittent exercise in man. J Physiol. 1973; 234, 481-497. 6. di Prampero P.E., Ferretti G. The energetics of anaerobic muscle metabolism: a reappraisal of older and recent concepts. Resp Physiol. 1999;118:103-115. 7. Edwards R.H.T., Hill D.K., McDonnell. Myothermal and intramuscular pressure measurements during isometric contractions of the human quadriceps muscle. J Physiol. 1972; 224:58P-59P. 8. Faude, O, Kindermann, W., Meyer, T. Lactate threshold concepts: how valid are they? Sports Medicine. 2009; 39:469-490. 9. Ferrannini E. The theoretical bases of indirect calorimetry: an overview. Metabolism. 1988; 37:287-301. 10. Frankenfield D.C. On heat, respiration and calorimetry. Nutrition. 2010; 26:939-950. 11. Hoogeveen A.R., Keizer H.A. The VO2 overshoot at the onset of constant-load exercise in elite cyclists: an undescribed phenomenon. J Exer Physiol online. 2003; 6:34-41. 12. Hunter G.R., Weinsier R.L., Bamman M.M., Larson D.E. A role for high intensity exercise on energy balance and weight control. Int J Obesity. 1998; 22, 489-493. 13. Koppo K., Whipp B.J., Jones A.M., Aeyels D., Bouckeart J. Overshoot in VO2 following the onset of moderate-intensity cycle exercise in trained cyclists. Eur J Appl Physiol. 2004; 93:366-373. 14. Loeppsky J.A., Gurney B., Icenogle M.V. Effects of leg ischemia during cycling on oxygen and carbon dioxide stores. J Rehab Res Dev. 2008; 45:1091-1102. 15. Margaria R., Cerretelli P., diPrampero P.E., Massari C., Torelli G. Kinetics and mechanism of oxygen debt contraction in man. J Appl Physiol. 1963; 18:371-377. 16. Margaria R, Cerretelli P, Mangili F. Balance and kinetics of anaerobic energy release during strenuous exercise in man. J Appl Physiol. 1964; 19:623-628. 17. McLean J.A., Tobin G. Animal and Human Calorimetry. Cambridge University Press, New York 1987. 18. 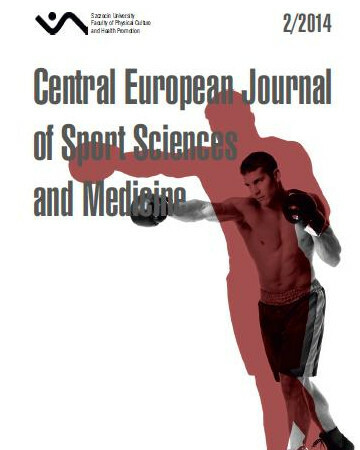 Reis V.M., Junior R.S., Zajac A., Oliveira DR. Energy cost of resistance exercises: an update. J Human Kinetics. 2011; 29A: 33-39. 19. Rieu M., Duvallet A., Scharapan L., Thieulart L., Ferry A. Blood lactate accumulation in intermittent supramaximal exercise. Eur J Appl Physiol. 1988; 57:235-242. 20. Scott C.B. Interpreting energy expenditure for anaerobic exercise and recovery: an anaerobic hypothesis. J Sports Med Phys Fitness. 1997; 37, 18-23. 21. Scott C.B. Contribution of blood lactate to the energy expenditure of weight training. J Strength Cond Res. 2006; 20:404-411. 22. Scott C.B., Croteau A., Ravlo T. Energy expenditure before, during, and after the bench press. J Strength Cond Res. 2009; 611-618. 23. Scott C.B. Quantifying the immediate recovery energy expenditure of resistance training. J Strength Cond Res. 2011; 25:1159-1163. 24. Scott C.B. Glucose and fat oxidation: bomb calorimeter be damned. Scientific World Journal 2012a; Article ID 37504. 25. Scott C.B. Oxygen costs peak after resistance exercise sets: a rationale for the importance of recovery over exercise. J Exer Physiol online. 2012b; 15:1-8. 26. Scott C.B. The effect of time-under-tension and weight lifting cadence on aerobic, anaerobic, and recovery energy expenditures: 3 submaximal sets. Appl Physiol Nutr Metab. 2012c; 37:252-256. 27. Scott C.B., Fountaine C.F. Estimating the energy costs of intermittent exercise. J Human Kinetics. 2013; 38:91-98. 28. Scott C.B. Combustion, respiration and intermittent exercise: a theoretical perspective on oxygen uptake and energy expenditure. Biology 2014; (in press). 29. Simonson D.C., DeFronzo R.A. Indirect calorimetry: methodological and interpretative problems. Am J Physiol. 1990; 258:E399-E412. 31. Steudel-Numbers K.L., Wall-Scheffler C.M. Optimal running speed and the evolution of hominin hunting strategies. J Human Evol. 2009; 65: 335-360. 32. amaki T., Uchiyama S., Tamura T., Nakano S. Changes in muscle oxygenation during weight lifting exercise. Eur J Appl Physiol. 1994; 68:465-469.